Paula Pedene is a patient woman. A disabled veteran and former head of public relations at the scandal-ridden Phoenix Veteran Affairs Health Care System, Pedene has waited eight months to learn the punishment for the manager who retaliated against her for blowing the whistle on corrupt leaders at the beleaguered hospital. She’s kept quiet. She hasn’t spoken to anyone in the press. She’s only contacted the investigators once every month to see if there is any news. But there is still no news. And her patience has run out. “Whistleblowers at VA are thankfully still coming forward, but they’re still very afraid,” Pedene said in an interview with Yahoo News, her first remarks to the press since she learned in April of the investigation’s findings. 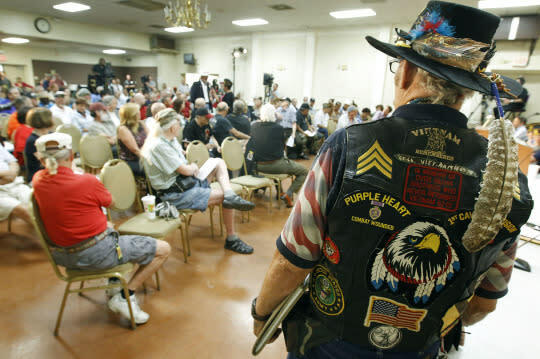 Last week, the Washington Post revealed that a Veterans Affairs internal probe completed 15 months ago, but never released to the public, found that senior managers at Phoenix VA retaliated against whistleblowers. The Office of Accountability Review (OAR) investigation recommended to VA Secretary Robert McDonald that these managers be disciplined or fired. But McDonald reportedly did nothing. Pedene, who joined the Navy in 1978, re-enlisted to serve during the Gulf War and is legally blind, says she wasn’t told until April of this year that the investigations had concluded last October and recommended at that time that both managers be disciplined or fired. In the Yahoo News interview, Pedene says that despite all the talk from new leadership at VA in Washington, the agency is still sending a mixed message about whistleblowers. “Leadership at VA is emboldened now because nothing has happened to the managers in Phoenix who retaliated against me, and against Kate [Mitchell], and against others who were just telling the truth about what was going on,” says Pedene, whose charges against Phoenix VA leadership date back to 2010, when she quietly collaborated with Dr. Sam Foote, a VA physician for 24 years who is now retired. Together they exposed a hostile work environment and misappropriation of funds by the hospital’s former leaders that eventually led to the revelations about veterans in Phoenix dying while waiting for care. In 2011, Pedene and Foote’s joint complaints were verified by the VA Office of Inspector General’s (OIG) report. A year later, when new leaders arrived in Phoenix, they removed Pedene from her high-profile job for an alleged computer violation and banished her for two years to a library clerk’s job well below her pay grade in the hospital’s basement. Pedene says Phoenix VA management tried its best to ruin her life. When Secretary McDonald took over at VA for ousted Secretary Eric Shinseki, Pedene says the new secretary vowed that unethical VA staff would finally be held accountable and that he would get to the bottom of VA’s culture of retaliation against whistleblowers with the newly created Office of Accountability Review (OAR). When Pedene was finally provided a copy of the report in April of this year, she asked investigators what they were going to do to hold the managers accountable, and they told her to wait and see. So she waited and kept in touch with investigators each month. But to date there’s been no action taken. “Speaking as a public citizen now and not a public relations representative for the VA, I just don’t see any of that accountability that VA says it now has,” she says. Pedene, who no longer works for Phoenix VA but still works remotely from her Phoenix home as a public relations representative for VA’s main office in Washington, D.C., worries about the long-term impact on whistleblowers. VA officials claim the reason for the delay in responding to the internal report’s recommendation to discipline the Phoenix VA managers is that it is waiting for the OIG or the Department of Justice to act. VA officials say they can’t discipline the officials yet because of an ongoing criminal investigation. But the OIG notes that the criminal investigation of Phoenix managers was completed, referred to federal prosecutors and rejected over the summer. There is no pending case. At the time of the retaliation, Pedene established a close association with Foote, the VA physician who was also fed up with how management was running things in Phoenix. The two of them became confidants. She helped him write letters to the Office of the Inspector General and the VA secretary. When that went nowhere, she says she helped Foote write to Congress, gave him public relations advice and provided him with the names of reporters she trusted at the Arizona Republic and other media. That ultimately led to the bombshell that resulted in the worst scandal in the history of VA. 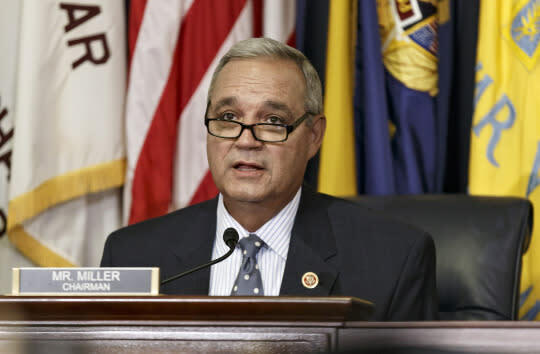 In April 2013, Foote told Rep. Jeff Miller, chair of the House Committee on Veterans Affairs, that some 40 veterans had died in Phoenix waiting to be seen by a doctor. After Miller announced this, the story exploded into the national consciousness. And then things got much worse, as reports of the manipulation of wait times and other bad behavior by VA hospital leadership spread across the country. Media reports ultimately showed managers and staffers at more than 50 VA hospitals and clinics were manipulating wait times for veterans and participating in other unethical behavior that hurt patients. “When I was communicating with Dr. Foote and learning about the scandal, we thought it was just Phoenix. We had no idea we were opening Pandora’s box,” Pedene says. A self-described optimist, Pedene spent many proud years in the Navy as a broadcast journalist. She got out in the mid-1980s, but when the Gulf War broke out, she re-enlisted in the Reserve and volunteered to go to the Gulf. Of course, that war ended quickly, but she was happy to be back in the military. Then her eyesight began deteriorating, and she says the staff at Denver VA took great care of her. When she heard about a job opening at Phoenix VA for the director of public relations, she went for it. Foote, who’s retired now but still spends time tutoring and supporting medical students, says he’s kept in close contact with Pedene. “When you have the U.S. government going after you and wanting to get rid of you for something good that you did, that was very tough for Paula,” says Foote. It remains to be seen when or if Robinson, Deering or others at Phoenix who were involved in whistleblower retaliation will be disciplined. Sharon Helman, the former director of Phoenix VA, was fired last year for whistleblower retaliation and improper oversight of the hospital. But Foote believes nothing will change at Phoenix VA as long as Deering and Robinson are there.